America's #1 detergent*, now even better. This Tide liquid laundry detergent now has 10x the cleaning power**. The improved formula is reengineered to attack tough body soils. Tide's HE Turbo Clean detergents feature Smart Suds technology. 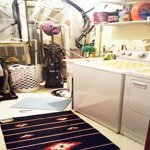 The quick-collapsing suds clean faster and rinse out quicker, even in cold cycles. Tide HE laundry detergent keeps your whites white and your colors colorful with a refreshing scent, wash after wash. The Tide clean you love is also available in Tide PODS laundry pacs. Eye Irritant. Harmful If Swallowed. Keep Out Of Reach Of Children. If Swallowed, Give A Glassful Of Water. Call A Physician. In Case Of Eye Contact, Flush With Water. Do Not Reuse This Package For Dispensing Beverages Or Other Liquids. Eye Irritant. Harmful If Swallowed. Keep Out Of Reach Of Children. If Swallowed, Give A Glassful Of Water. Call A Physician. In Case Of Eye Contact, Flush With Water. Do Not Reuse This Package For Dispensing Beverages Or Other Liquids. Ingredients: Ingredients Include Biodegradable Surfactants (Anionic And Nonionic) And Enzymes. Active Ingredients: Biodegradable Surfactants (Anionic And Nonionic) And Enzymes. Instructions: . Follow care label instructions, then sort. Test inside seam for colorfastness. Medium Loads - 1. Large Loads - 3. he Full Loads - 5. 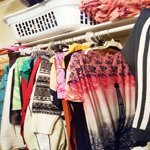 Add detergent, then add clothes. I'm a loyal user of P&G products so I've used Tide for at least 30+ years. I used to use only powdered detergents but switched to this liquid HE version when I got my FL washer. I always get outstanding results when using the recommended amount for the type of load. I use this along with Downy Free & Sensitive and my clothes, linens and towels are clean, soft and smell great-the scent is not too strong when rinsed properly. I'm very happy with this product and will continue to use it for years. This is a great way to buy tide. My only problem is the spout part. There is very little reason to use this. The bottle is not very heavy and it's easy to just pour a bit in the washing machine. 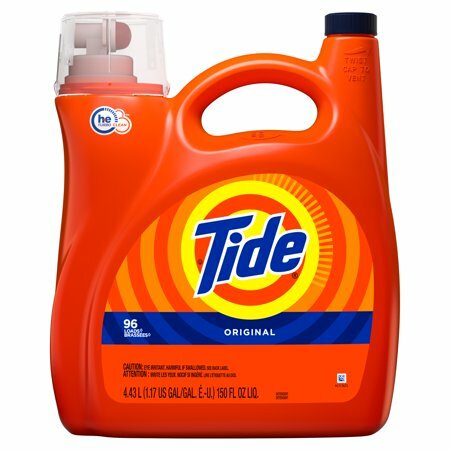 I find this the most inexpensive way to purchase tide. Only detergent I will use. Will be back to purchase again! Definitely the right detergent for my busy family!